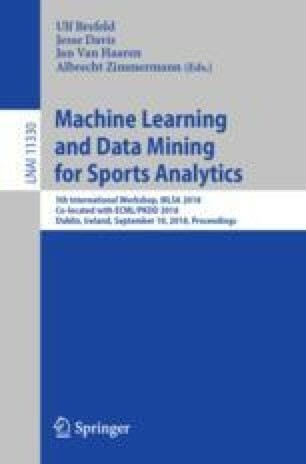 We propose a convolutional architecture for learning representations over spatial relations in the game of soccer, with the goal to predict individual passes between players, as a submission to the prediction challenge organized for the 5th Workshop on Machine Learning and Data Mining for Sports Analytics. The goal of the challenge was to predict the receiver of a pass given location of the sender and all other players. From each soccer situation, we extract spatial relations between the players and a few key locations on the field, which are then hierarchically aggregated within the neural architecture designed to extract possibly complex gameplay patterns stemming from these simple relations. The use of convolutions then allows to efficiently capture the various regularities that are inherent to the game. In the experiments, we show very promising performance of the method. Authors acknowledge support by “Deep Relational Learning” project no. 17-26999S granted by the Czech Science Foundation. Computational resources were provided by the CESNET LM2015042 and the CERIT Scientific Cloud LM2015085, provided under the programme “Projects of Large Research, Development, and Innovations Infrastructures”.